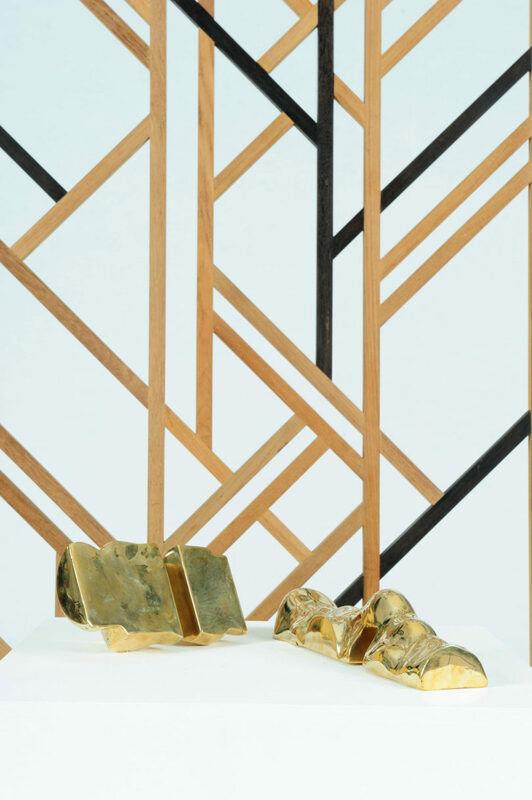 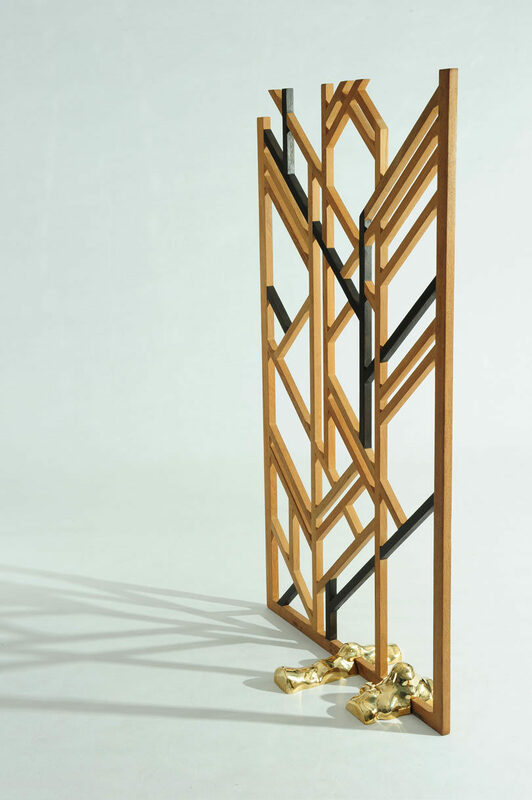 Designer Apiwat Chitapanya just lately collaborated with two Thai corporations, Deesawat and Masaya, on the Stick Display to current throughout Milan Design Week 2019. 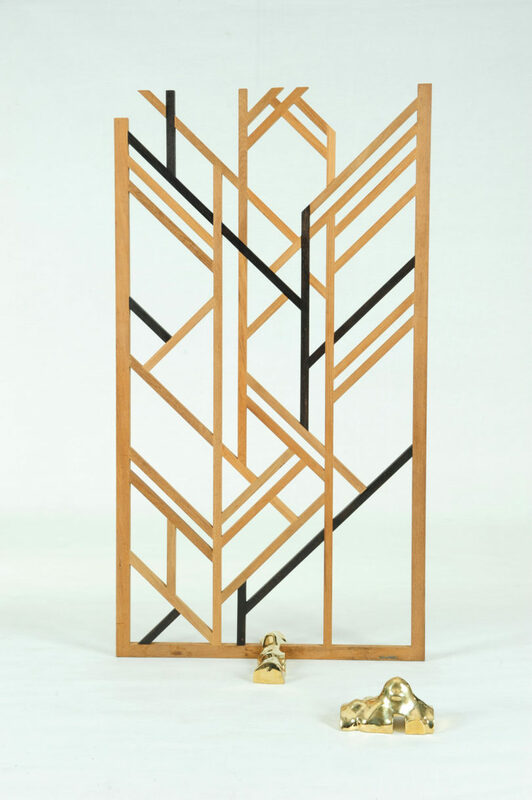 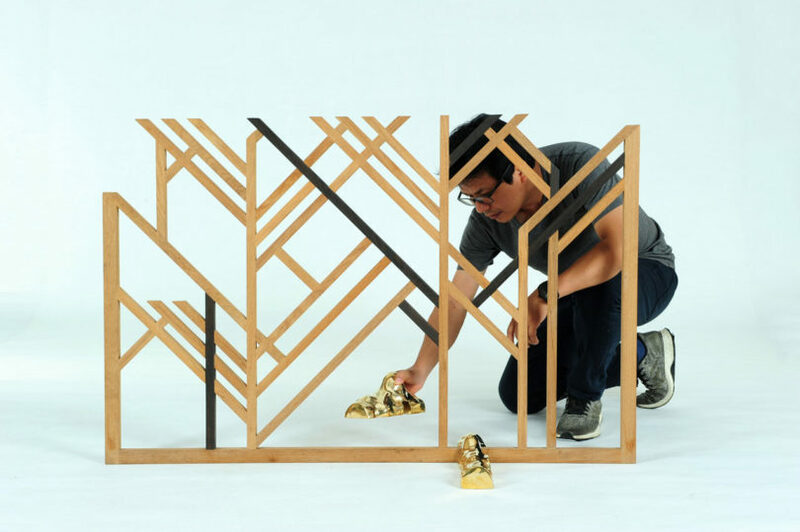 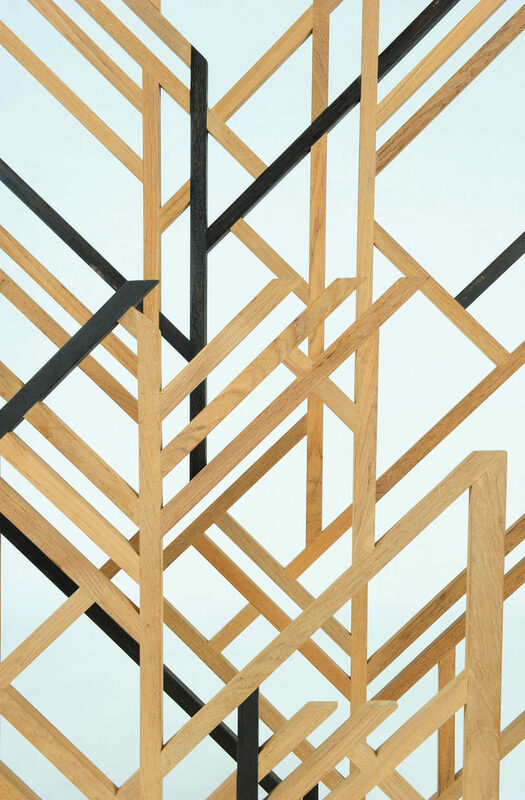 Stick joins two completely different supplies to create an ornamental display with a geometrical sample. 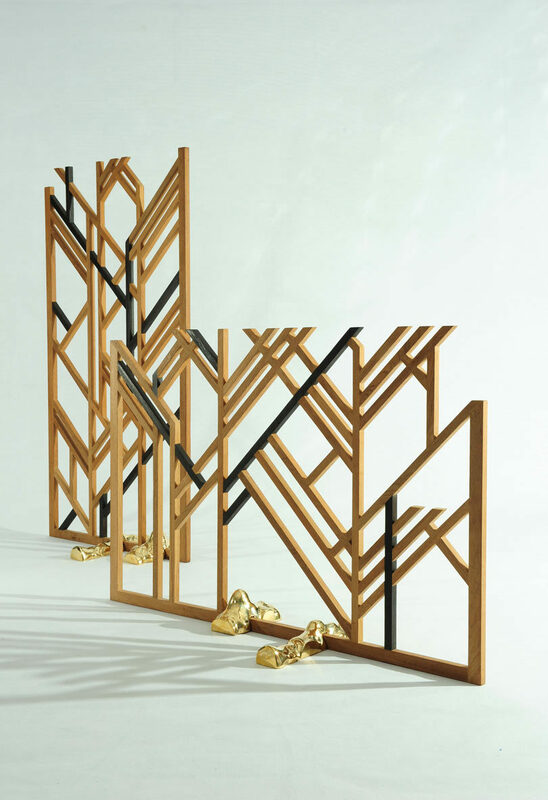 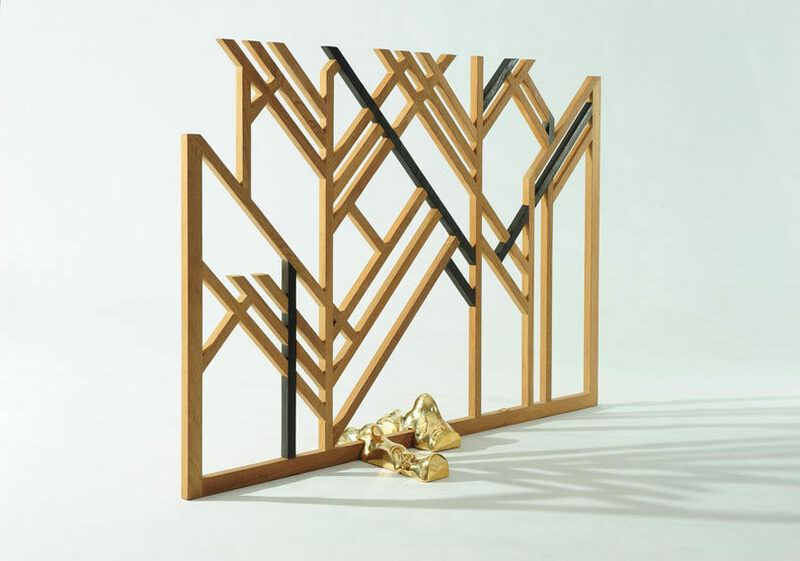 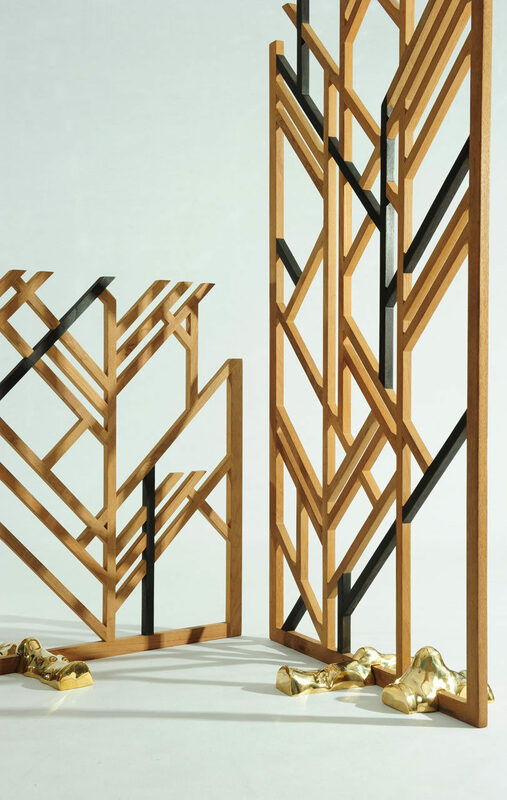 Organically-shaped brass bases, which mimics the mountains within the northern a part of Thailand, maintain the teak screens, which have been impressed by shadows created by branches on a big tree. 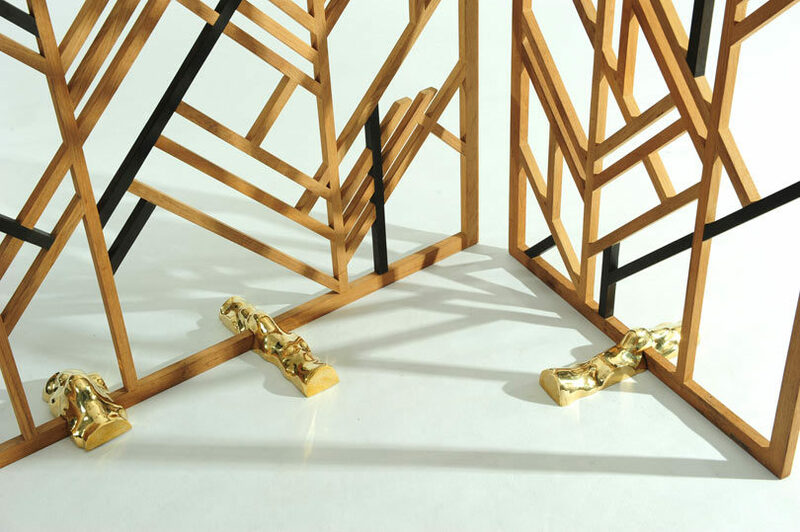 Mixed, every display varieties a visually dynamic piece impressed by nature discovered within the designer’s homeland.